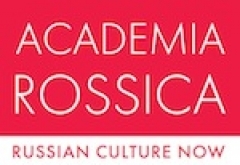 Academia Rossica is a charity dedicated to promoting Russian culture in the West. Our main events in London include the Russian Film Festival and the Slovo Russian Literature Week, as well as being the official organisers of the Russian stand at the London Book Fair. We always welcome interest from potential partners in helping us expand our projects.